Phillip felt his face didn’t fit his active lifestyle. 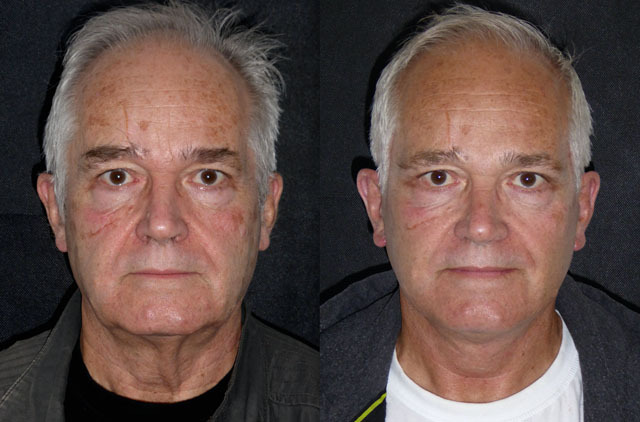 Despite going to the gym and sailing regularly, he felt his age showed on his face. 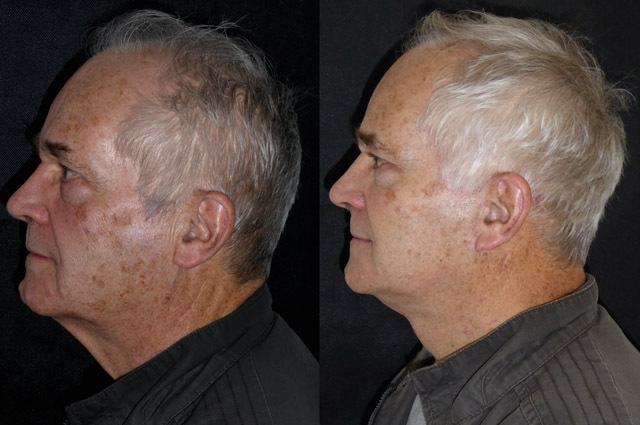 He had signifiant sun damage on his facial skin which I treated after his initial consultation. Other than this the main areas that concerned him were his excess neck skin, heavy brow and lack of jawline definition. 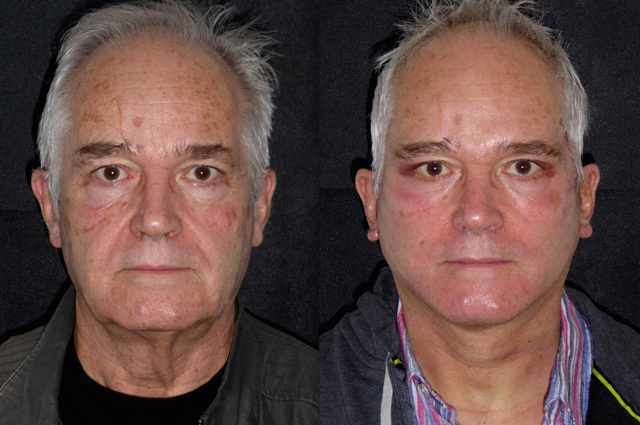 I performed a Face and neck lift, platysmaplasty, jawline and neck liposuction and a lateral temporal brow lift under local and sedation. He may need upper and lower eyelid surgery as a secondary procedure which I will do if he wants when he has recovered from his primary facial plastic procedures. Here is his journey. 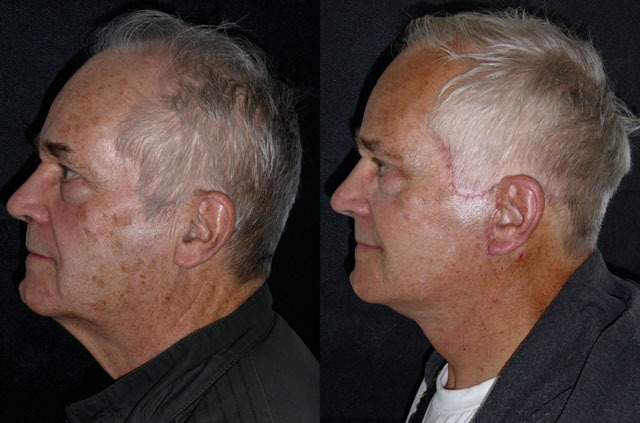 The first thing that is striking is Phillip’s repaired facial skin. The hyperpigmentation and melasma have faded and his skin quality is in far greater condition. 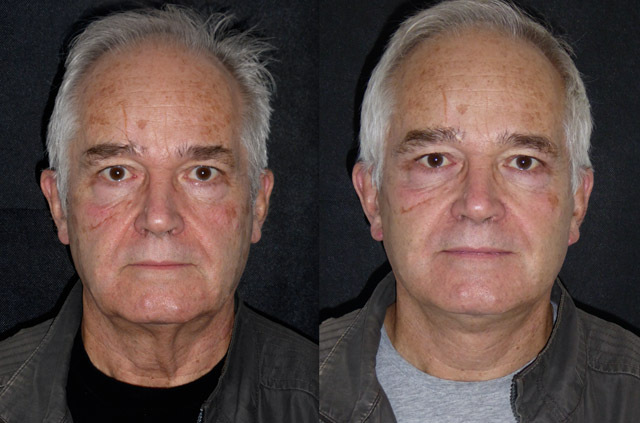 Only a few hours after face and neck lift, platysmaplasty, neck liposuction and brow lift, he has lost decades off his face. 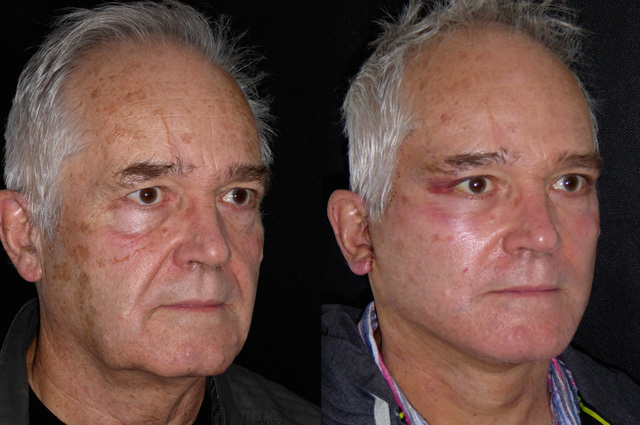 His brow is elevated without feminisation, jowl has been fixed in his mid face volumising the middle third and defining his jawline and the excess neck skin is now draped beautifully over his platysmaplasty to create a fresh neck jaw angle. I am so grateful to Phillip for consenting to publication of his photos on this gallery. 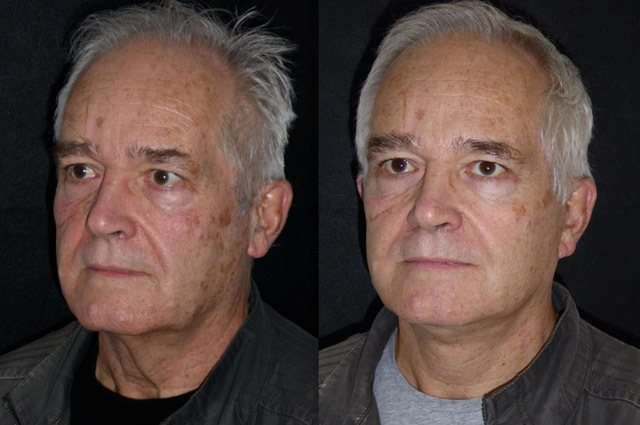 Despite an increasing number of men undergoing facial plastic procedures, very few are so open. Here is Phillip just seven days on from his surgery. Bruising is now well on the way out and isolated deep in the neck. His incisions are healing beautifully. 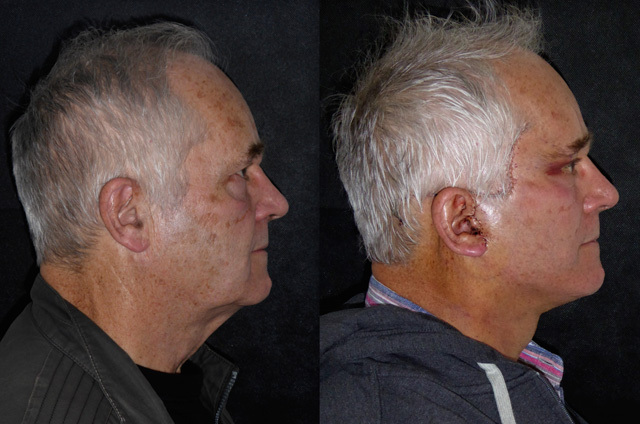 He already has had a great result, his jaw and necklines are sharp and he looks two decades younger which certainly fits his active lifestyle - Phillip’s 4 week review will be delayed as he crews a boat across the Mediteranean - hopefully wearing sunblock! 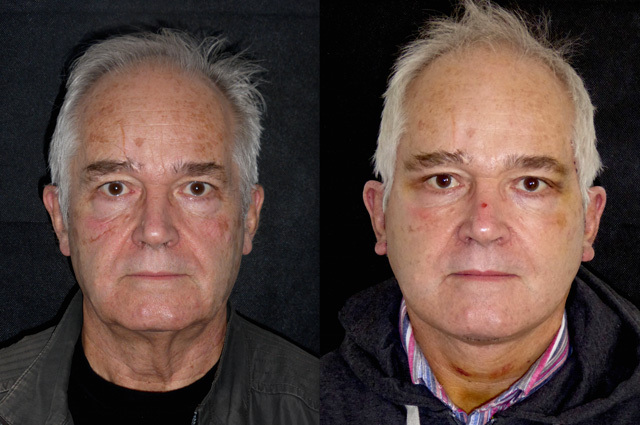 Phillip’s result is exactly what I aim to achieve for all my patients. He looks like himself just better. Phillip has just returned from a month sailing and is looking great. 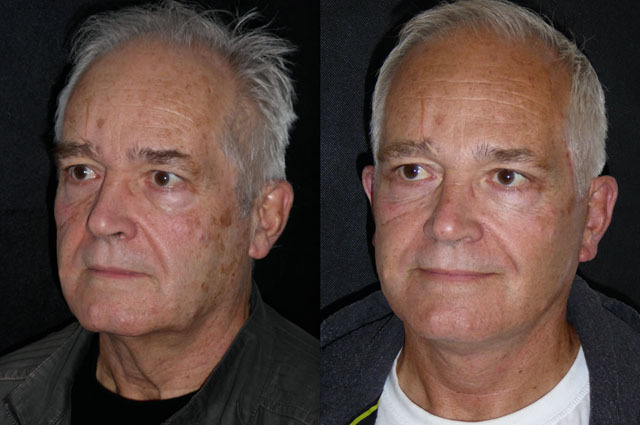 His surgery and skincare have taken decades off his appearance without changing who he is. He looks like himself years before. 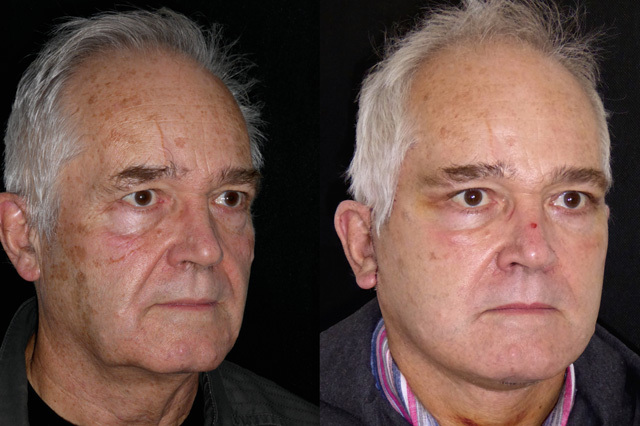 His lateral temporal brow lift has opened his eyes without looking done and his jaw and neck lines are restored. A super short haircut yesterday reveals his scarring which is visible on profile view. This will contract and fade with a few more weeks and meticulous use of sunscreen. Really nice man, really pleased with his result! Here is Phillip at 6 months out from surgery. 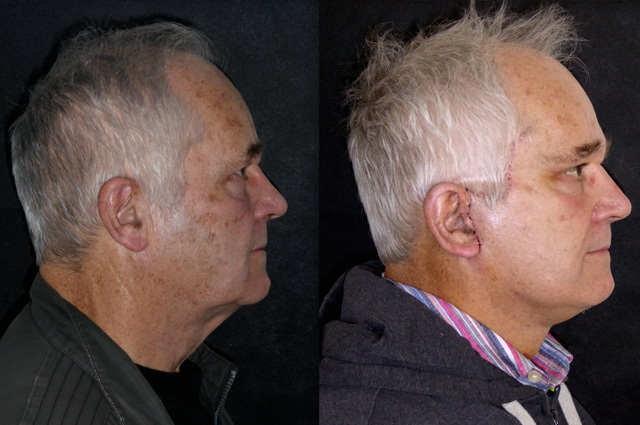 His scars are practically invisible on profile view and he continues to look years younger. His facial hyper pigmentation is coming back as he has stopped skincare over the last few months, easily remedied by going back on. Great skin is an ongoing commitment! Really happy for Phillip, his appearance now fits his active outlook.